One of the things professional services colleagues sometimes complain about is that whereas academic staff can be promoted in post – and indeed can progress all the way from lecturer to professor in the same academic department – they can’t. Instead to advance their careers administrators have to move – either elsewhere in the institution or to another university. This is often presented as a problem whereas I have to say I think it is much more of a positive position. Whilst there is something to be said for having people in post in administrative roles in central or academic departments who know their jobs inside out, who carry a sense of the institutional history and provide the continuity between rotating professors as heads of department, there is also a difficulty in such longevity in one particular role. Essentially the challenge is this – many intelligent, creative and able administrators, no matter how committed to a particular department or institution, can, unless they are given new challenges and fresh stimulus in their job, sometimes become dull, stale and bored. 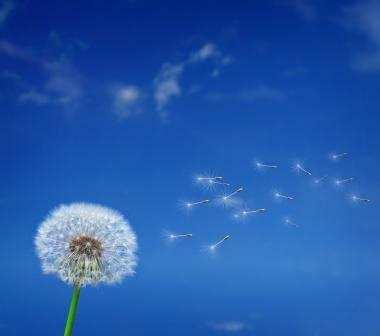 They may, no matter how able, become less productive over time as tedium and routine replaces challenge and excitement. I should stress that this is not always the case and is challenged as a proposition by some of my colleagues. In my view the way to address this issue is not to argue for the opportunity for professional services staff to be promoted in role (although if their job does change radically then the regarding opportunity will exist) – this is the wrong way of approaching the matter. Rather there should be the possibility of moving staff regularly to new roles in different parts of the university to provide them with new challenge and stimulus. Ultimately this not only gives people more satisfaction in their work and makes them more productive but, because it broadens their experience too they become more employable in other roles and stand a better chance of securing a more senior role in their current or another institution. Times Higher Education recently carried a piece on the development of university leaders and noted the success of the University of Warwick in this regard. One of those things for which the administration at Warwick under Mike Shattock and subsequently was famed was the propensity for moving staff around to ensure they gained new experiences and enjoyed exposure to new ideas and new work opportunities to keep them interested, stimulated and challenged. This was my experience at the University (I had seven different jobs in just under nine years at Warwick) and I found the experience hugely beneficial. This is hard to do though. Given the structures in universities which often involve significant devolution to academic units and therefore means that administrative staff can be located in dispersed teams at Department, School or Faculty level the managed redeployment or rotation of staff can be extremely difficult to organise. Professional specialisms – in HR, Finance, IT, and Estates – make such rotation even harder although I would suggest that the previous decline of the generalist administrator has been reversed and it is perfectly possible for specialists to transfer into and succeed at more generalist roles (although rarely vice versa). 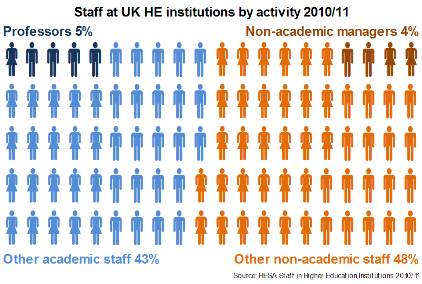 The Higher Education sector in the UK employs over 380,000 staff of whom 200,000 work in non-academic roles and professional services (HESA 2010/11 data). Whilst the career route is well defined and understood for academic staff (albeit an extremely tough profession to enter), entry to HE administration is less well defined. There is a national pay spine but grades for administrative staff vary across the sector. The entry level for graduates is generally understood but no common graduate scheme exists, unlike in the NHS which has had a well-developed national scheme for prospective NHS managers operating successfully for many years. A small number of institutions have operated local graduate trainee programmes down the years but they have not really taken off in any significant way. In the absence of any national graduate entry programme and the challenges with managed rotation one alternative approach is to introduce a variety of work opportunities at the beginning of administrators’ careers. As well as providing a clear opportunity for entry to a career in higher education administration this was part of our motivation at the University of Nottingham for introducing our own local Graduate Trainee Programme in 2008. This Graduate Trainee Programme offers an invaluable opportunity to prepare talented, hard-working and enthusiastic Nottingham graduates for a management role within this stimulating setting. client bases including students, funding bodies, commercial partners and employers. The programme offers four trainees the opportunity to experience key components of university operation and build an understanding of the institution’s strategy. Over 12 months the trainees undertake a planned rotation of placements in different areas of the University, reporting to senior staff. Placements will be across Professional Services and Schools, and trainees may have the opportunity to work at one of the University’s international campuses in Malaysia or China. Successful trainees will gain the transferable skills necessary to move on to positions within the University with a clear understanding of how a large university operates. Outstanding performance on the programme may facilitate a longer term opportunity at Nottingham. This kind of programme gives trainees a wide range of experiences early, sets them up well, gives them a rounded view of university operations both from departmental and central perspectives. 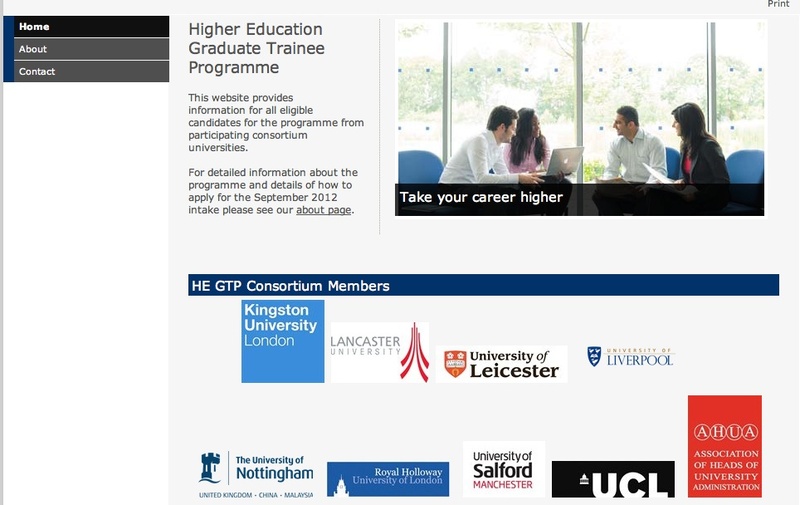 It also makes them extremely employable and almost all of the graduates of the Nottingham GTP have gone onto subsequent employment within the University or at other HE institutions. Having run successfully for four years at Nottingham this model has now been adapted and adopted as a pilot for a national scheme, initially involving eight universities (including Nottingham) and co-ordinated by AHUA (the national association for Registrars and other heads of university administration). Further details of this year’s recruitment can be found here. The UK higher education sector really does need such a scheme and this programme will develop a cadre of senior managers for the future who have not only undertaken a variety of roles in their home institution but have also had a range of experiences in another university too. In addition, they will benefit from a structured professional development programme under the AUA CPD framework. Excellent universities need outstanding managers who have broad experience and are able to take an institutional view where necessary. Mobility and dynamism of staff is key to achieving this and is in interest of both professional staff and their institutions. The nascent national Graduate Trainee Programme which is developing under the auspices of AHUA offers the prospect of achieving this in a widespread and sustainable way which can only be beneficial for universities in the UK. This entry was posted in Alumni, Education, HE, Imperfect University, Management, Registrar's Department, University, University of Nottingham and tagged Administration, AHUA, AUA, graduate trainee programme, HE, imperfect university, mobility, NHS, staff, universities, University of Nottingham, Warwick by Paul. Bookmark the permalink. What’s your opinion on the difference between generalists and specialists and the impact this has on University Administration? If you develop staff to have a broad knowledge of University business then a model where staff move around different areas of the registry or University seems to be entirely sensible, if difficult to achieve in practice. However, I’ve found in my experience of working in HE and talking to other University admin teams that there is a move towards specialism rather than the general skills and knowledge you talk about. I think this is a result of efficiency drives, leading to silo working. This is a high risk strategy, with individuals holding lots of knowledge and a break down in service should they leave or move on. Is it possible to be both highly efficient and work as generalists? Clare – it’s a good question. There are certain areas where you just have to have specialists (eg Finance, HR, IT) but even there not everyone needs to be. In some ways it is easier simply to employ only specialists as they can be more easily constrained within the silos you describe and have fewer opportunities therefore to seek to move. However, I’d suggest this might be short-sighted and ultimately pretty inefficient as the opportunities missed for cross-departmental problem-solving and interdisciplinary team working will result in a less responsive and less effective and ultimately less efficient organisation. I very much agree that job rotation systems in general are a great way of learning new skills and figuring out how to apply existing skills in new contexts. So your scheme at Nottingham sounds like a model for many other employers. It also sounds like a good model for other staff in universities – including colleagues in secretarial, technician and manual grade jobs. I am also reminded that at one stage, Warwick used to encourage administrators to spend time in a US partner university, and that also led to some innovative structural and policy changes inspired by returning administrators who had seen things done differently elsewhere. As for academics, all praise to the RAE/REF for encouraging at least some mobility between universities, if only at the top (professorial) level. It is hard to imagine that the academic labour market would be anything other than stagnant without the poaching that we all do in the run-up to a new research assessment. I’d say that one of the most important types of administrative staff mobility is between Schools (on the one hand) and Professional/Central Service Departments (on the other). I’ve only ever worked in Schools or Institutes, and although I’ve got no particular desire to work in a central department – I don’t think it would have suit me particularly – I think I’d have benefited from that experience and that perspective. A bit more empathy and understanding of colleagues’ particular work pressures and environment is always a good thing. A re-post of an earlier piece on the importance of mobility for the development of professional services staff. My research into “Design Thinking in HE” looks like it will back-up the idea that broader ranging experience is essential for enabling the kind of growth in personal and collective capability necessary for success – when the experience happens within a reflective, supported framework. In the first phase I interviewed 28 recognised innovators at Warwick, including a few who bridge the gap between management/admin and academia. This illustrated how the most successful innovators have a “designerly capability” implicit to how they operate. It’s exactly the kind of designerliness that people like Tim Brown and Tom Kelley argue is essential for the modern business. That makes all the difference. However, they arrive at that capability through lots of varied and often painful experience over a long period of time, combined with an less constrained transferance of capability from other domains (usually creative practices such as theatre and film making). The result is a “disconnected designerliness” embedded in sporadic practice as tacit knowledge, and hence not transferring horizontally through peers (although I have often seen a vertical transfer between academics and students through academic apprenticeship). The challenge that I’m now thinking about is: how do we help people to develop this designerly capability more sytemically, without the long painful experience, as an “explicitly stated” “networked designerliness”? Part of the answer lies in how we organise and undertake innovation projects. I’m applying for funding to try out the IDEO Design Thinking strategy for doing innovation projects and for developing networked design capability. Another part of the answer I think lies with the “fellowship” model being used by the Higher Education Academy, which can be used to encourage reflection on design and innovation experiences within a supported framework. The AUA CPD framework should have the same positive effect. I’m also now creating a more granular specification of “designerly capabilities”, including the necessary “threshold concepts”, skills, social organisations, motivations, attitudes, techniques, tools and spaces. This will turn into a toolkit for understanding design capability within an organisation (maybe I could try it out at Nottingham sometime). This should be useful for understanding precisely how “mobility and dynamism of staff is key”. The report on my first phase of the investigation is called: Innovation and design change strategies for learning technologies at Warwick : towards a ‘design capabilities’ heuristic for guiding practice and evaluating change. Having completed three very different placements as part of my time on the GTP at Nottingham, followed by a role at another institution and now being back at Nottingham, all within three years, I certainly see the benefit of working in a variety of positions and having the opportunity to (at least start to!) develop a broad range of skills. I think it has been particularly useful during the first years of my HE career, because not only has it given me a better understanding of the ‘bigger picture’ of the sector than I may have had if I’d spent three years in one role at one institution following graduation, but it’s given me time to work out where my strengths lie and start to understand which areas I want to continue to pursue and develop in. Many thanks for the comment Rachel. Great to hear such a positive endorsement of the Graduate Trainee Programme!